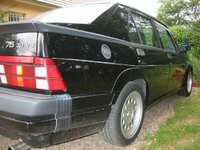 Have you driven a 1988 Alfa Romeo 75? 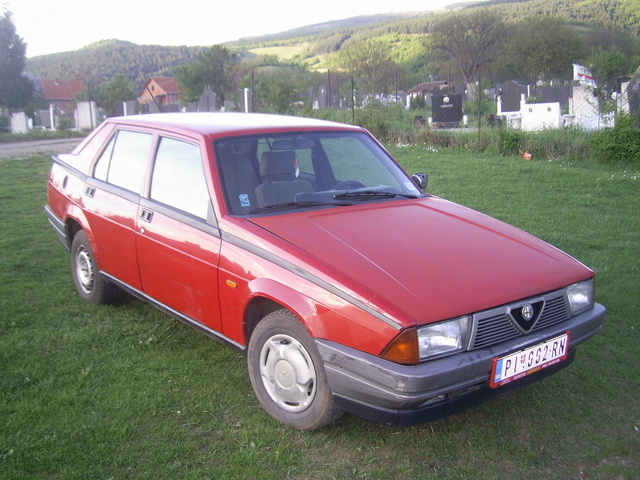 Displaying all 2 1988 Alfa Romeo 75 reviews. I paid a little under $3k AUD for this car... And let me just say I'm not disappointed! It's running a 2.0L Twin Spark engine (two spark plugs per cylinder as opposed to one) that has some serious guts. Handles the way any Alfa should, running a Double Wishbone setup on the front and a rear De Dion suspension setup with inboard rear brakes. Ride is insanely smooth for a 20 year old car, yet the handling doesn't suffer. Twin plate clutch takes a little getting used to, but the whole thing (engine and clutch) has been rebuilt 30k kms ago. Not the prettiest looking car, but has a rather low, almost mean profile. Mileage is... wait for it... 6 LITRES PER 100KM! That's 39.20mpg for you Americans out there... Fun factor?? Its an Alfa... Seriously fun to drive IF YOU KNOW WHAT YOU'RE DOING. As any serious alfa fan will know, they deserve to be driven and driven well. Overall, If you want to lay your hands on a car that will eclipse anything in the sub 10k second hand range (AUD) or even the sub 30k new car bracket in terms of performance, style, prestige and -the most important thing- excitement, look no further. Looking for a Used 75 in your area?